Protect your family and your property with 24-hour security monitoring for burglary, fire, carbon monoxide and more. 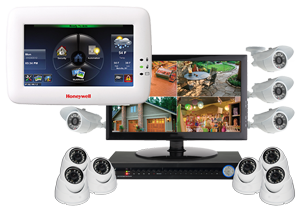 TEAM Electronics will help you design a custom solution using top-of-the-line Honeywell products to fit your home or business needs. Looking for Full Home Integration?